We learned from Inside Out that all of our emotions have an important place in our lives...but...let’s be honest. Everyone wants a little more Joy! Now you can help your kiddo embody pure glee--no, not by sitting her down at the stylist and saying, "Give her the Joy look." Not only would they have to dye her hair dark blue, they'd have to crop it into perfect little spikes. Not so easy to do, and may elicit a look of Disgust from your hairdresser. 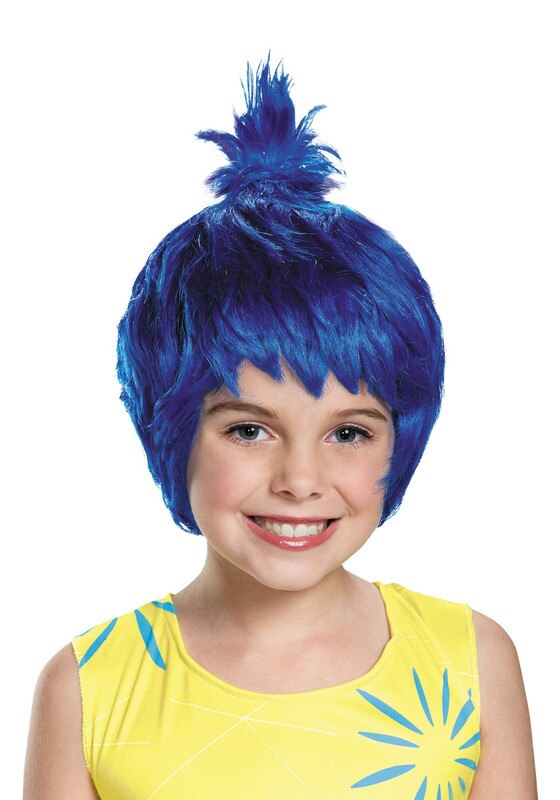 Whoa, whoa, tell your gal not to cry; no need tap into her Sadness, she can still become her favorite character from her Disney / Pixar film because we have this Inside Out Child Joy Wig! Whew. She got nervous for a moment, she was about to create some majorly blue recollections. Trust us, her getting this feathered blue pixie look is nothing to Fear; it'll put a cheery outlook in her eye. In fact, the moment she slips it on will likely become one of her happiest core memories.